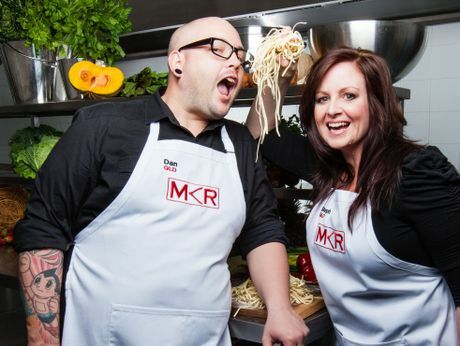 Hervey Bay’s My Kitchen Rules contestants Dan and Steph Mulheron are through to the final week of Channel 7's cooking show. 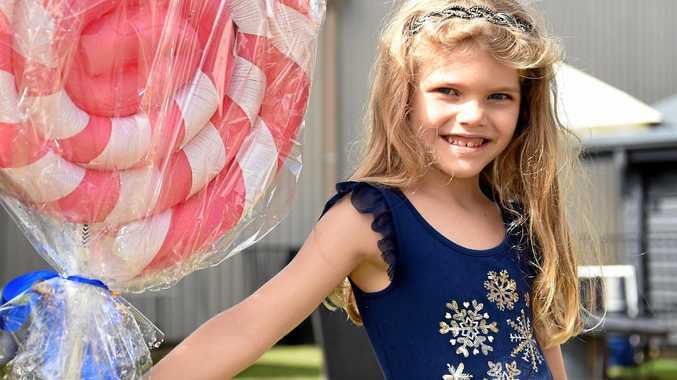 HERVEY Bay's My Kitchen Rules contestants Dan and Steph Mulheron gave their fans a few tense moments during their second instant kitchen aired on Wednesday night and have narrowly avoided elimination. Not only did the judges think Dan's duck sausages, seved as entree, were dry but the main course pork knuckles did not turn out as planned and the judges panned them as well. The couple were in tears and considered not serving the main course meat after their plan B for the pork knuckles, which Dan shredded after the knuckles came out of the oven raw in parts and dry in parts, didn't work out they way they'd hoped. But judge Manu Feildel convinced them it was edible and he would be more angry if they gave up and didn't serve any pork than if they found a way to present the meat with some flavour. Steph's dessert of orange tian with toasted almonds saved the day for them with the judges awarding scores of eight and nine. It was a nailbiting finish. The Bay contestant's final score of 52 put them just above gatecrashers Angela and Melina on 50 on the leaderboard.